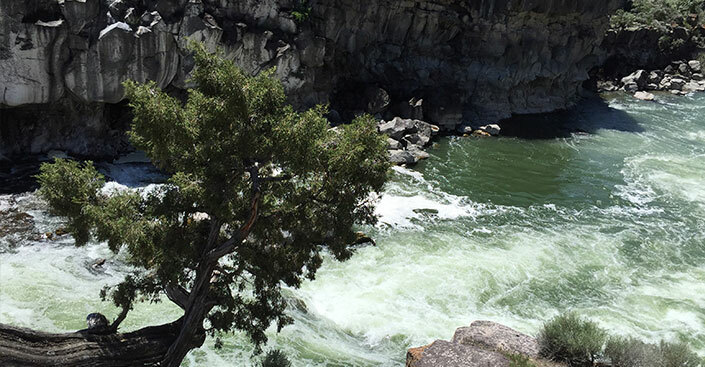 At this site near the Oregon Trail, the Snake River is forced through a passage less than 40 feet wide. 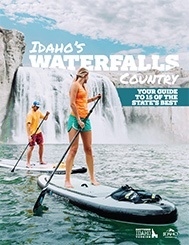 The result is one of the most intimidating, spectacular waterfalls in Idaho. Also known as Star Falls, this site proved perilous to the Wilson Price Hunt party in 1811. Employed by John Jacob Astor, Hunt’s party traveled overland using information gleaned from the Lewis and Clark expedition. 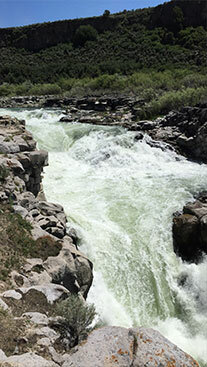 But Caldron Linn proved too rough — Hunt’s party lost a man and two canoes in the area, forcing them back on land. Scottish members of Hunt’s party gave the area its name. Not much has changed since 1811: The area is still natural and untamed, and you won’t find safety features like guardrails or paved paths. 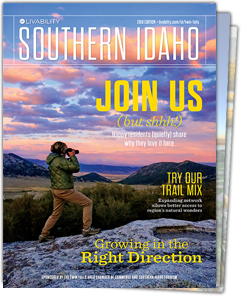 Upstream, anglers will find great bass fishing; downstream, daring kayakers will find Class IV and IV rapids with huge drops. For the biggest visual impact, visit Caldron Linn in the spring, when snowmelt swells the falls.